Do you have a burning question as to why or how Muslims cover? Have you ever come across a covered Muslim woman, and a ton of questions popped up in your head? Well then, here you go! 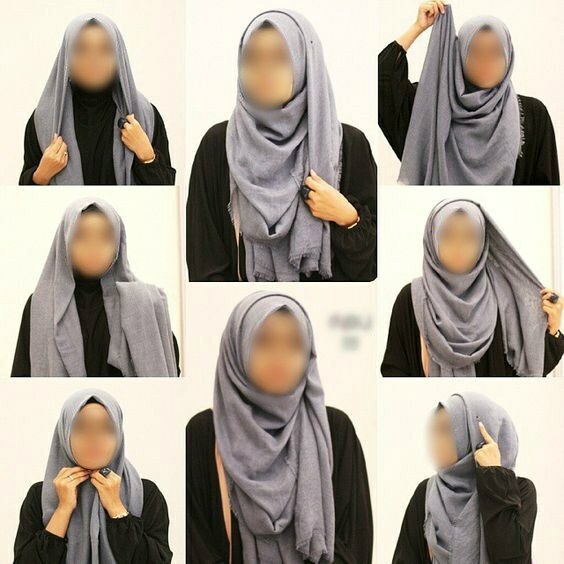 Here are the most common questions covered Muslim women are asked, along with all the answers to you've been wondering about the hijab (headscarf), the abaya (full body covering dress) and the niqab (face veil). Don't see your question here? Post a comment to this article to get a response to your queries! 10. 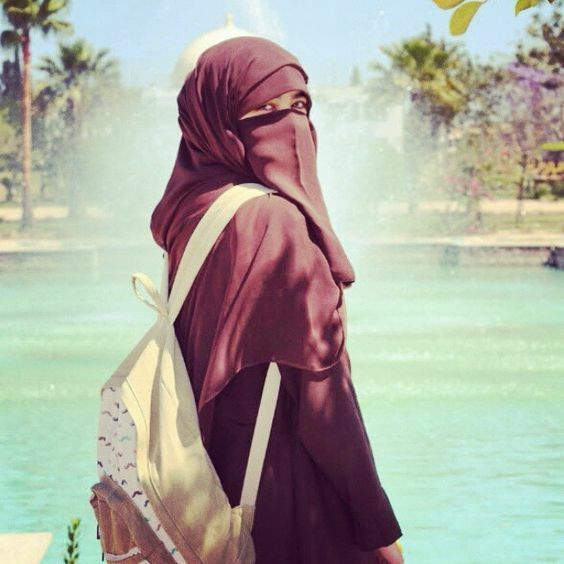 Why do some Muslim women cover while others don't? Some Muslim people say they're afraid of being discriminated against and harassed for looking "too Muslim" in the western world. Others may totally deny that Muslims have to cover at all. Contrary to what those people might say, covering oneself and dressing modestly is mandatory in Islam. Being a Muslim means you constantly strive to strengthen your iman (belief) and religiously improve yourself. It's OK to take your time, struggle and mess up, as long as your intentions are sincere, and you continue trying. 9. Are there any modesty requirements for Muslim men? Yes! Muslim men must keep the area from their navel to their knee covered at all times, no matter what. If there is a need to remove his shirt, a Muslim man may do so, but otherwise, it's not appropriate to be shirtless. It's also expected of Muslim men to raise or fold their trousers above the ankle, if they are not wearing such pants that already show the ankle. And of course, all clothes must be loose-fitting. 8. Isn't it hot when you're all covered up? Yes, of course. But just like all other clothing, once you're used to wearing it, then it becomes second nature and doesn't bother you anymore. Some hijabs, abayas and niqabs are made from thin fabrics like crepe, jersey and kashibo, which can be worn during hotter temperatures. In colder weather, heavier fabrics like polyester knit and denim help keep warm. 7. Do you always have to wear black? Nope! 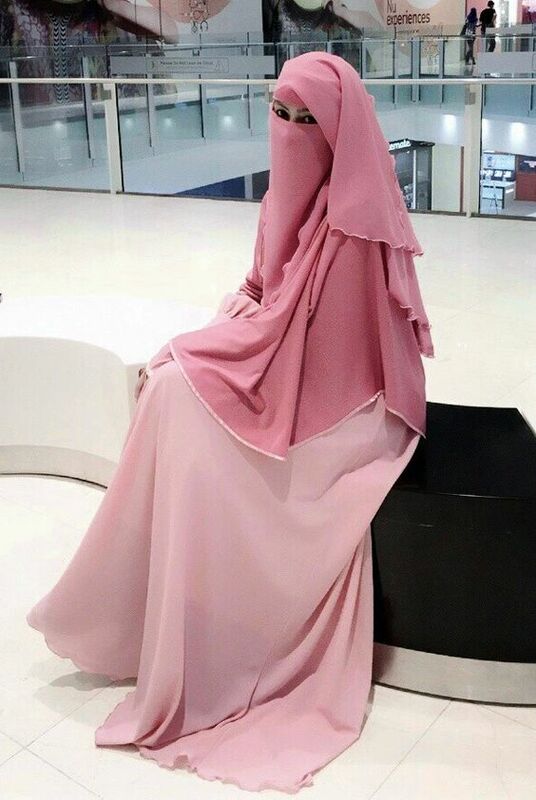 Any style, color and pattern of hijab, abaya and niqab can be worn as long as it's loose-fitting and doesn't attract stares (besides, you know, the stares we already get). 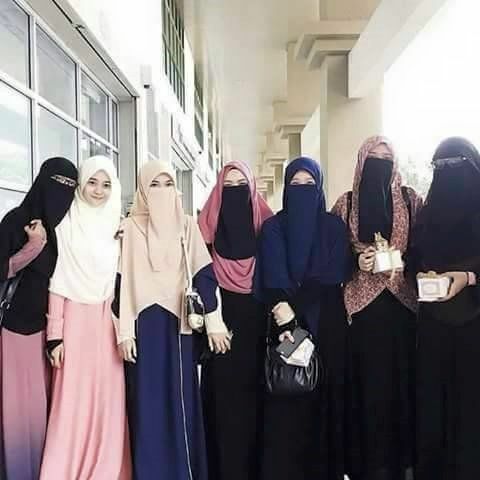 This means that the clothing should not be so excessively attractive or deviant that it defeats the purpose of dressing modesty all together. 6. How do you put on a hijab? There are many ways to wear a hijab. Some you can slip right on, while others you fold over your head and pin. Some girls wear an under-scarf or hijab cap under their hijab in order to help the scarf material stay put on their heads. 5. Doesn't covering your face impair communication? 4. What's the point of covering up? 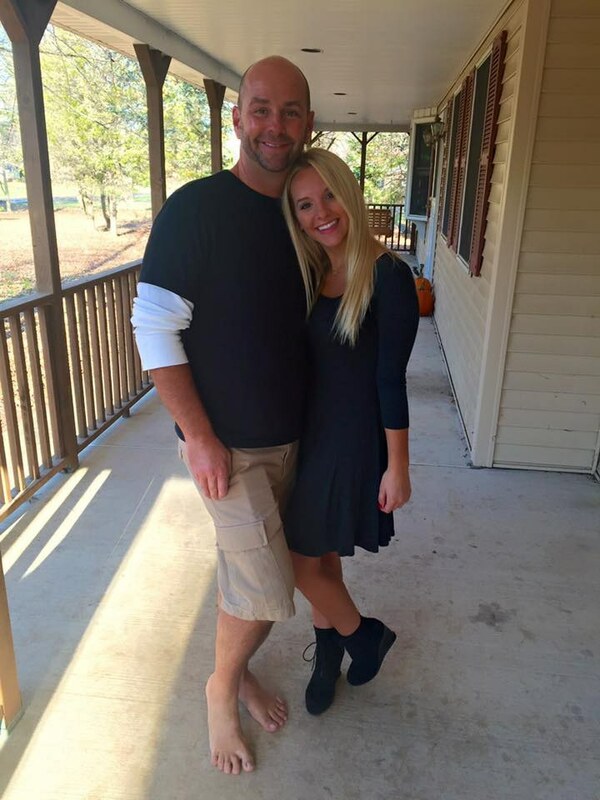 My husband and I smiled and explained that, no dear sister, there is nothing like that. 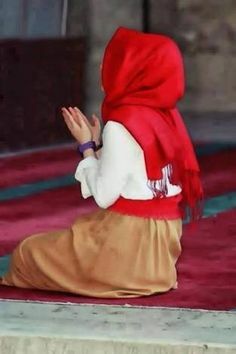 I am not wearing it for my husband, rather I am doing it for the One who created me, the One whom I have to return to and the One to whom I am answerable to, as we have to return to Him sooner or later. I said it is similar in my religion. My religion treats me like a queen, and not everyone has the authority to meet me or even look at me. It's only the ones who are really close to me who can meet me or even look at me. She smiled. Then I also gave her the example of Mother Mary. I asked her, 'Do you believe in her?' She said yes. I said, 'We also believe in her, hence we dress this way. Have you ever seen her hair uncovered or even any part of her body for that matter?' She said no. Then I gave her an example of a precious diamond. I asked her, 'What would you do if you have a precious diamond with you? Would you keep it in a safe place or keep it open in the hallway?' She said that of course, she would keep it safe. I said that is the way my religion treats me. I am very precious in my religion – much more precious than a diamond. Hence, I am protected. 3. 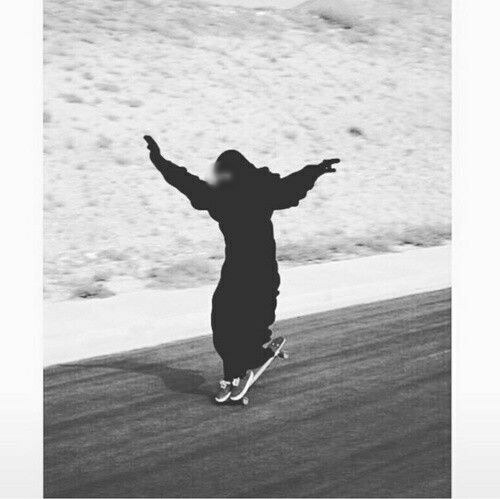 Doesn't wearing an abaya limit how move? Your mobility depends on the style of the abaya. If the abaya has a wide skirt, you will be able stretch your legs farther, as needed for horseback riding or running. Muslim women can swap an abaya for modest trousers and shirt for physical activities like gym class. 2. What kind of discrimination do you face? 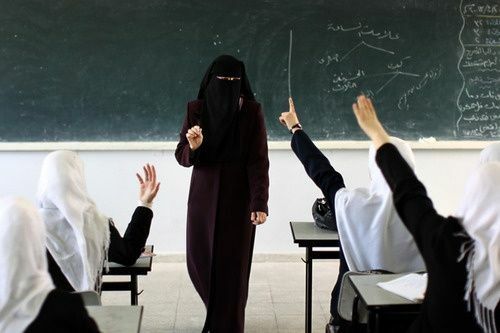 Between all the usual name-calling, cold glares and subtle forms of discrimination in public and online, there's not a day that goes by for Muslim women without them having to prepare themselves to face judgemental society. 1. Once it's on, can you take it off? 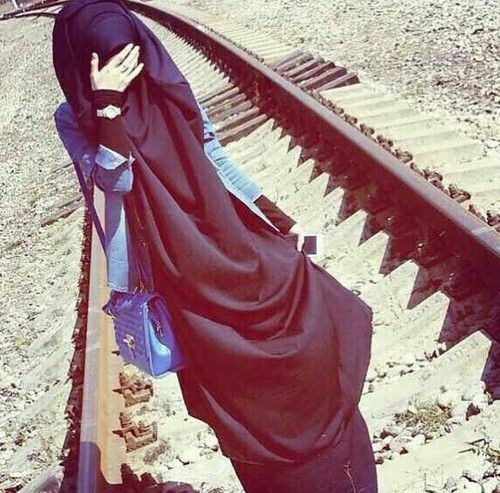 Only a Muslim woman herself or her mahrams may see her without a hijab, abaya and niqab. If there's no non-mahram around, a Muslim woman can remove her coverings. So no, we don't shower or sleep with our hijabs on. 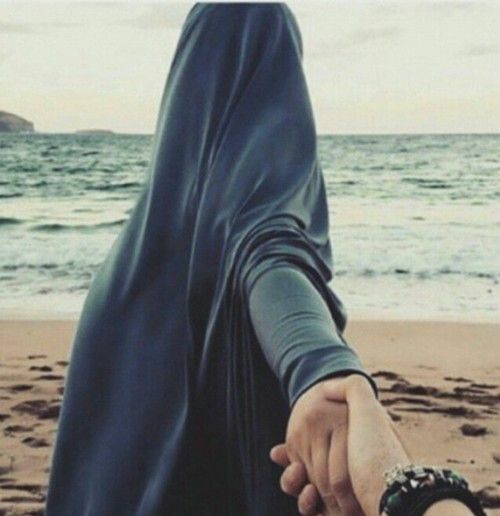 For Muslim women, no one may force you to cover yourself, because your body is in your control. So whether you make the choice to start or stop covering yourself, it's all in your hands. We should not judge the choice of others, for the intention harbored in your heart is only apparent between you and Allah (SWT), and it is Him who you will answer on the Day of Judgement. It is better to continue with what you have started, even if it's a small step forwards, because taking it off means backtracking on the progress you've made so far – which undermines the struggles you had and the effort you made to reach that point. Remember, things may be difficult here and now, but there's a purpose to everything we do as Muslims. Ask yourself, what do I hope to achieve by covering myself? And from your answer, you can identify the values that define you as a believer.